I've always had an interest in both modelmaking and stop-motion animation, and these two skills go hand-in-hand. 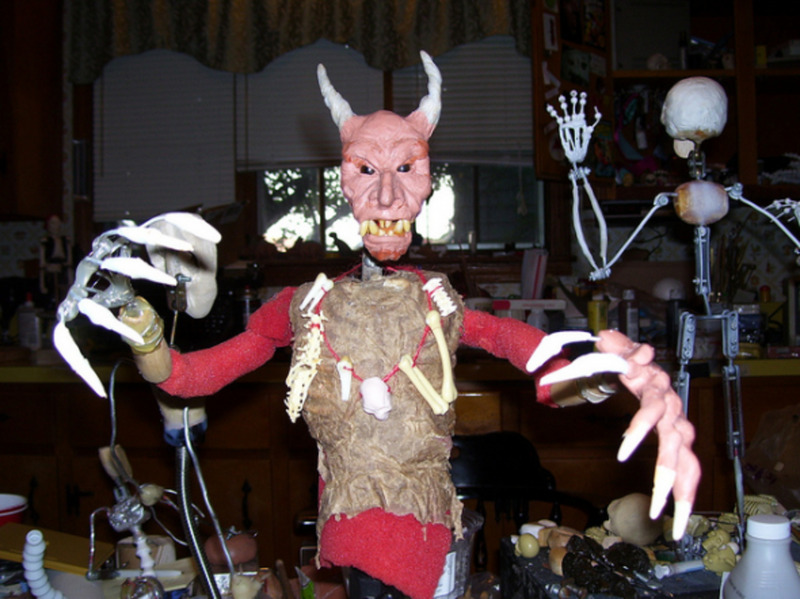 This page focusses on the art and craft of creating jointed, poseable puppets from scratch, from the simple figures to the high-tech constructions. The puppets you create must be able to be manipulated into a wide range of poses in order for you to breathe life into them and for them to take on 'character'. The versatility required of the puppets is perhaps the biggest challenge when it comes to the building of them. Below you will find a list of materials and processes you can use as well as some tutorials from experts. I have also included some techniques for creating art dolls, as there is some cross-over in techniques between the crafts, although art dolls are artistic rather than functional so can't be used for stop-motion. 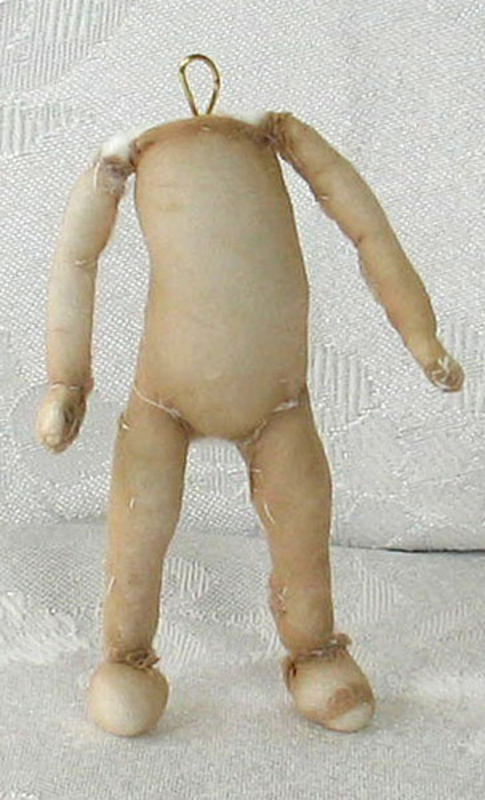 This is because even though art dolls are often jointed, the limbs are loose so that they lie naturally (and are usually held together at the joints with string). The puppet body is sculpted from clay first of all. Then this is used to make a 2-part plaster mould. The mould is filled with latex foam (together with the metal armature) and cured to make a poseable figure. The head is created separately (see below). Photo and puppet by Sean Duran. Books are, in my opinion, the best all-round resources you can get, and the selection below are 5 of the best. All of them are full of tutorials, tips and expert advice that you can read through in your own time. This is one of the two animation books I personally own, and I think it is an excellent all-round book for people who are perhaps approaching the world of stop-motion animation from a crafts point of view like me. If you are struggling to choose which book to buy first, as a keen beginner, I would recommend this one as it covers the basics of making models, sets, props and stories. Ideal as a follow-on book after you have grasped the basics and are looking for more advanced guidance. The book introduces more puppetmaking techniques, includes interviews with stop motion artists, and much more. This is the other book I own on this subject, and I've had it since I was 12 (the first edition)! This is more user-friendly, colorful and 'fun' than other books so is not overwhelming for beginners or even teenagers and kids. And obviously it's especially great for fans of Aardman as the book shows you how to make Shaun the Sheep! An indispensable resource for armature machining, and offers more in-depth information than most stop-motion books on the actual construction side. This book explores and explains many elements of stop-motion film making, including lighting, editing and storytelling, and is written by Barry Purves who has been in the business for 30 years. Nearly all animation puppets contain a metal 'armature', which is effectively the skeleton of the puppet. These can be as basic as just a single strand of wire, or can be made up of many metal joints and sophisticated components. The puppet's features are then build up over this armature. When filming stop-motion it is important that a puppet is durable and holds their pose between 'frames', so having stiff joints (made from wire or using ball-and-socket joints) is vital. Another important thing to consider is how the puppet is going to balance on the 'stage'. For instance, if you are filming a puppet walking, then the puppet will have to balance on one leg for many of the shots. The normal practice for this is to use tie-downs or magnets; see the rest of this page for more details. If you need your puppet to fly, there are rigging systems available to buy for this. The time and skills required for building a puppet depends mainly on the look you want for it; realistic or cartoony, simple features or detailed sculpted faces, clay or latex....the more complex designs will of course require more techniques, and often more expense too. The planning stage is important in puppet-making, so make sure you have thought through how you are going to make all of the parts first so that you don't run into problems later. Lots of skills can be incorporated into this craft, including a range of moldmaking techniques, as well as metalworking, sculpting, painting fine details, sewing miniature clothes and props, woodworking, set building etc. It's a very satisfying hobby, a fantastic outlet for creativity and imagination and it allows you to get a taster for a large number of different manufacturing techniques - on a small scale. Of course, if the story of the animation is your main focus, then you can easily choose to use simple techniques only, and make characters from basic materials like wire, clay or even paper. There's lots of versatility and choice! The head is painted in acrylics. Photo and puppet head by Sean Duran. Photo by Andrea Hale - Showing puppets in the stages of production: you can see epoxy putty being used for the 'bones' of the skeleton. - The simplest technique is just using a blob of modelling clay/plasticine and moulding it into simple shapes. 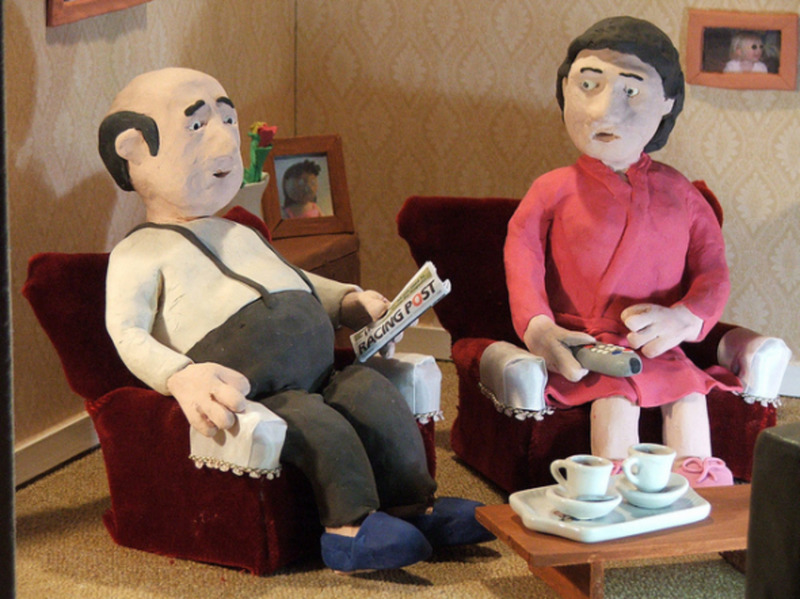 Animation using clay is referred to as 'claymation'. - An armature is a metal 'skeleton' which is used within a puppet to keep its shape intact. 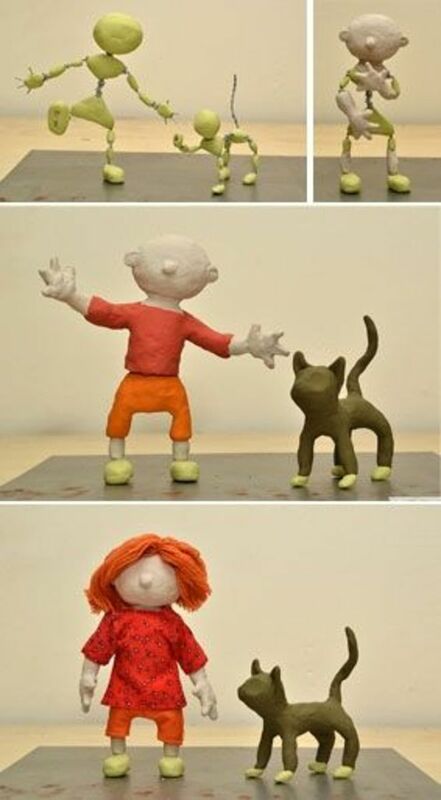 A simple armature can be created with (plastic-covered) wire that is manipulated into the shape of the puppet you are making (one strand of wire for the legs, one strand for the arms etc - with the wire wrapped together at the joins) and then plasticine/clay is added around the wire to build up the model. If the puppet is not skinny, you can build the puppet up with aluminium foil around the wire armature before the clay/plasticine is added all over. - A more advanced armature can be created with two strands of (usually 1/16") aluminium wire twisted together (to add strength), perhaps with pre-made metal armature components such as foot blocks and hip blocks used in the structure also. Hip/shoulder blocks can alternatively be built up from scratch using epoxy resin. The body can be built up with clay (and foil), or with cushion/upholstery foam or padding. If foam is used, it is shaped using scissors before clothing or a liquid latex outer skin is added. 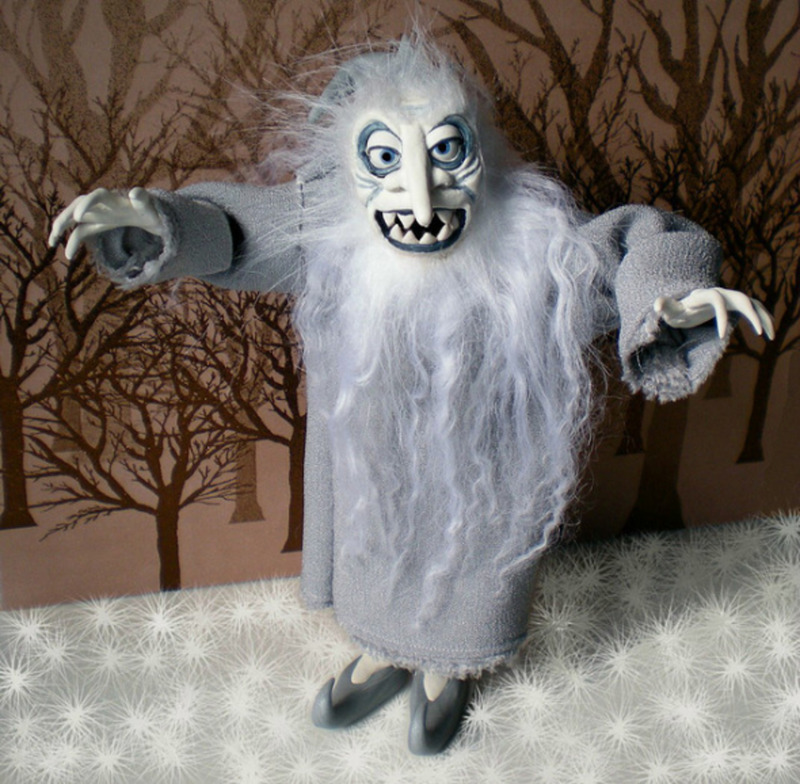 Instead of making clothes, there is another method called felting that you could use, where clothing-like designs can be formed directly on the surface of the puppet using wool roving. Felting can also be used to make puppet hair or even faces for some kinds of teddy-bear-like puppets. The exposed areas such as the hand and face can be made with wire and clay, silicone, latex and/or epoxy putty. Heads are created solid and immoveable in wood or resin, or they are sculpted in polymer clay (such as Sculpey or Fimo) and baked to become solid and hard. If you would like part of the face to be movable, such as the eyebrows and mouth, space can be left for these areas and soft clay can be added onto the hard baked head section and sculpted last. 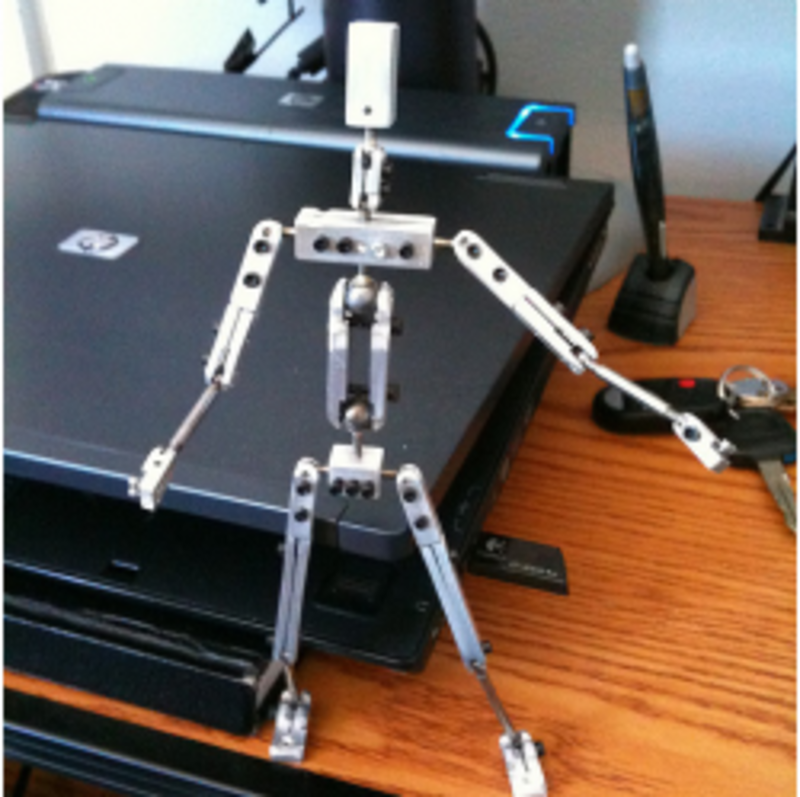 - An armature can be built using a kit, which still involves twisted wire but there are more components used including metal tubing and multiple drilled blocks. Components can be machine drilled or bought pre-made. - A completely pre-made armature can be bought - with no twisted wire used, just solid metal rods and joints. 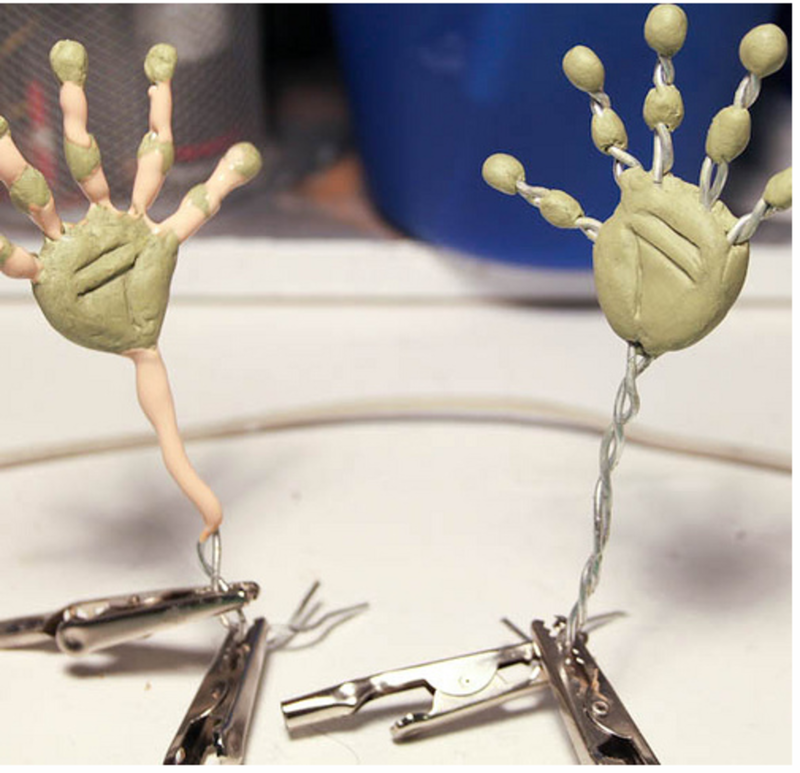 The hands will have individual movable fingers and overall these armatures are more robust. Often these armatures are used in conjunction with foam latex. The puppet is first sculpted in clay, then a 2-part plaster mould is constructed around the clay shape and this mould is used to replicate the shape in latex (with the armature embedded in the latex). Foam latex is flexible and easily manipulated, but is quite expensive and therefore is usually used by only professionals and serious amateurs. Flexible urethane cold-foam products are easier to use than foam latex but they aren'tt self-skinning (i.e. the resulting surface is not smooth) - so a skin can be created separately using liquid latex and attached onto the foam body. Silicone rubber is also a possibility. 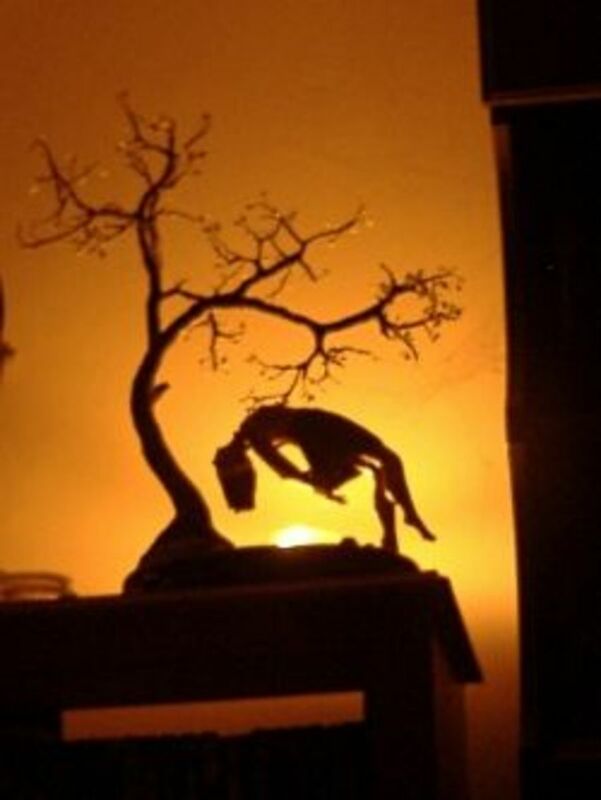 - Custom made armatures can be ordered, but these come at a high price and are pretty much only used by professionals. Sophisticated articulated heads are also available. NOTE: In puppetmaking, the puppet's feet are keep attached temporarily to the 'floor' of the stage with either magnets or tie-downs. This keeps the puppets in the correct place when you are adjusting their limbs. Tie-downs are the less expensive option and use nuts and bolts; a nut embedded in each of the puppet's feet, and then a bolt is feed through a hole in the 'floor' of the stage and into the nut in the puppet foot. TIP: When casting a hard object (for instance the puppet head), use a soft material to make the mould - such as silicone. When you're making a soft object (e.g. from latex), use a hard material to make the mould - such as plaster. 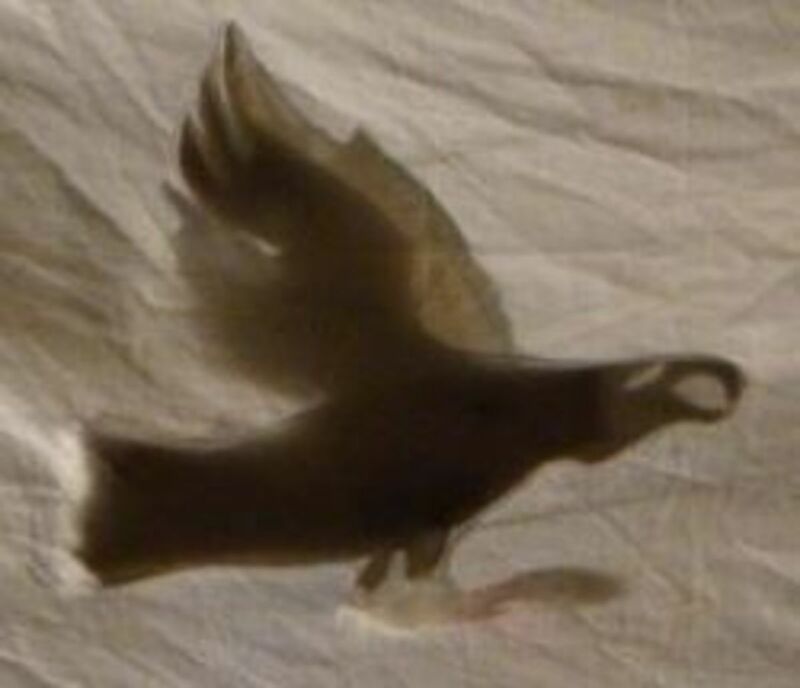 Great website showing model making processes with lots of photos. How textured skin is created with latex and then added to the puppet. You can have a browse at the components that are available. Interesting information about the Tim Burton puppets. Puppet costuming information and tutorial. Very useful tutorial for making a cold foam latex fish puppet. Brilliant excerpt from a book - all about building puppets. A walkthrough of making a puppet using the thermoplastic 'polymorph'. Useful resource for all aspects of animation - worth signing up for! Multiple how-tos on many areas of stop-motion movie making. Loads of photos to browse and get ideas from. A great resource on building puppets, complete with photos. Fantastic book excerpt with lots of detail and information about animation. Tips on lighting, sets and puppets. A walkthrough of how an armature is built from scratch. Photos showing the making of a foam latex puppet and a model sofa. Excellent book excerpt about creating your own character. - Polymer clay - Super Sculpey, Sculpey Premo, Fimo and Cernit - this clay must be conditioned/warmed up by kneading before it is used. Running it repeatedly through a pasta machine really helps with this, as just using your hands is very tiring and time consuming. When you have finished sculpting polymer clay, it is baked at low temperature in the oven and hardens into a plastic-like consistency. - Epoxy Putty - plumber's epoxy, Magic Sculpt, Aves Apoxie Sculpt, Apoxie Clay, Milliput, Devcon etc. Epoxies come in two parts that have to be kneaded together thoroughly to begin the chemical reaction that will result in their hardening. Wear gloves preferably when doing the kneading. If you only need a short working time, epoxy putty will work, but if you need longer then choose to use polymer clay. 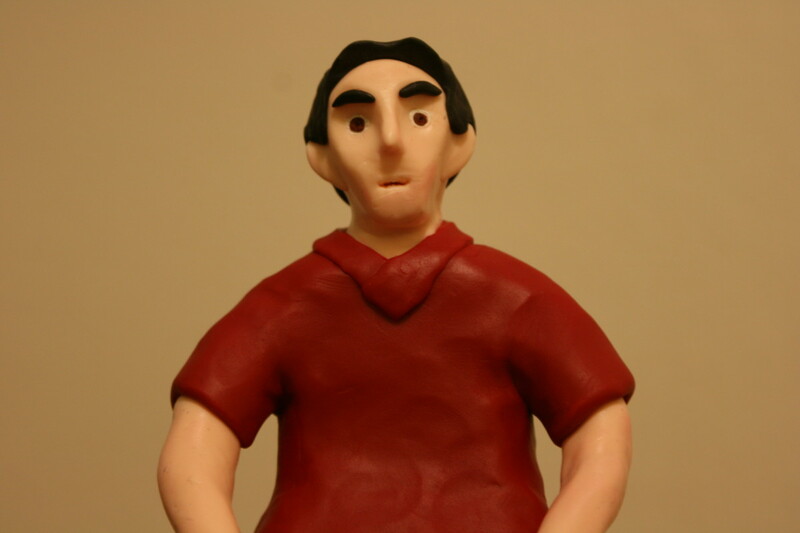 - Plasticine (an oil-based clay that doesn't harden) - Van Aken, Claytoons, Chavant types for instance - usually only used for the parts of the puppet which need to be continually manipulated such as the hands and face. - Foam Latex (used for the puppet body) which needs to be baked in a mould to form the required shape. Foam latex comes in 4 parts; latex base, gelling agent, curing agent and foaming agent, which all need to be mixed together, cast and baked. You will need an oven and food mixer purely for using with foam latex (they cannot also be used for food). - Neodymium/rare Earth magnets - very powerful and quite expensive magnets used to secure the puppet's feet to the (steel) stage. - Resin - this is cast into moulds (cold - no heat involved) to produce solid shapes such as feet. Resin can also be used as a mould material when making silicone or foam casts (remember you use a solid mould-making material like resin for casting flexible/soft parts and a flexible mould like silicone for casting solid parts). - Silicone - can be cast cold just like resin, but the resulting castings are smooth, springy and rubbery. When mixing silicone you can create a range of colour shades. - Heads can be made from hard materials like polymer clay (Super Sculpey, Fimo) or wood, or cast from resin. 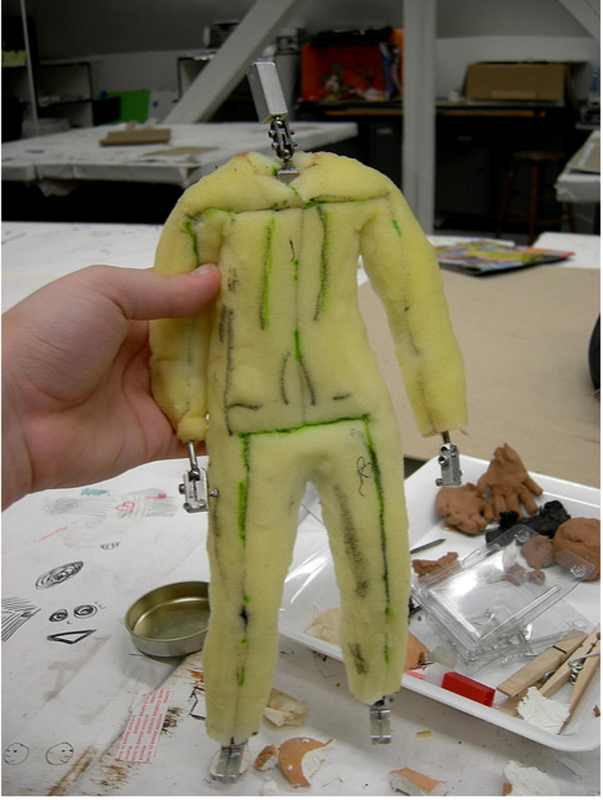 - Armatures can be covered in clay, fabric, latex, foam, or silicone - or a combination of methods. If using foam or latex, you can paint these materials with a mix of acrylic paint and a medical adhesive such as Pros-Aide. Nothing sticks to silicone so it can't be painted - instead, the colour is created in the mixing process by adding a tint. 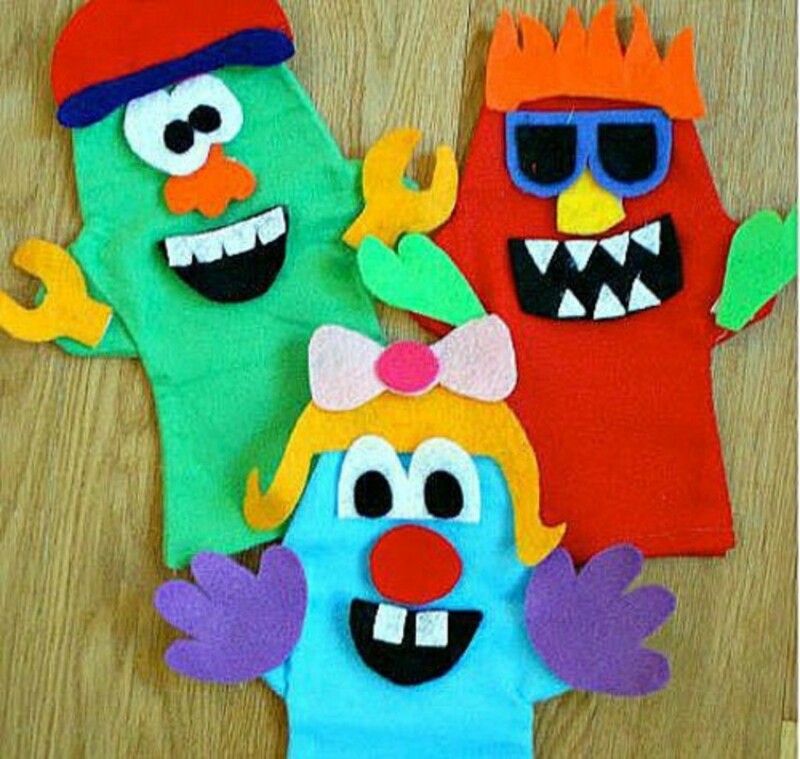 There are quite few different materials and techniques for each stage of puppet production - just try a few different ways and stick to what you like best. This needle sculpting technique for shaping a body is an alternative to traditional sculpting and casting, and therefore bypasses many production steps. For the puppet in this photo, batting was wrapped around a wire armature before stuffing was applied over the top. Nylon pantyhose have been used on the outside to hold the batting and stuffing in place. Photo and puppet by Perpetual Plum. Although art dolls are not poseable usually, I think it is interesting to have a look at the techniques used for this artistic craft as a lot can also be used for animation models (such as how to make the eyes, hair and faces). Interesting sculpting examples, tips and tutorials. 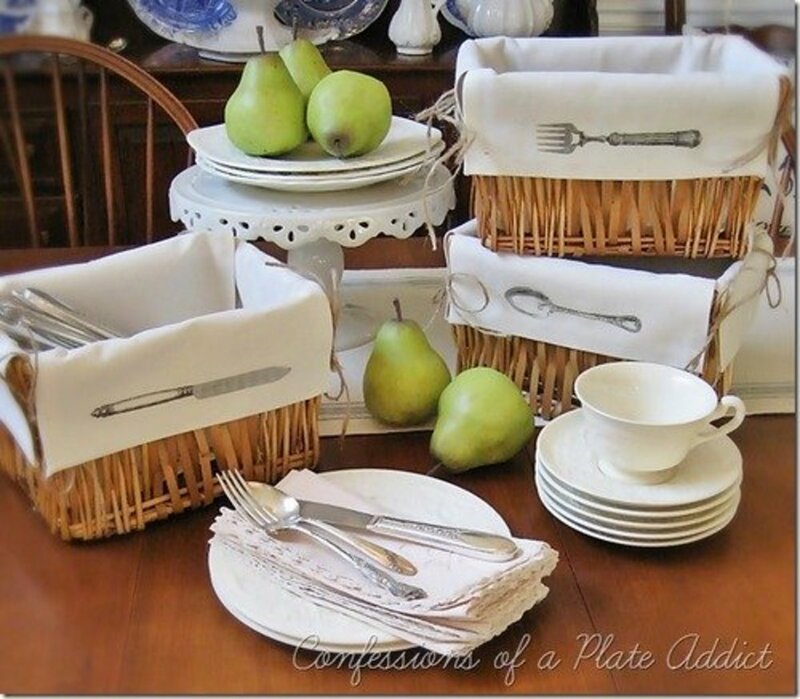 A good material to work with on small scale items like this. 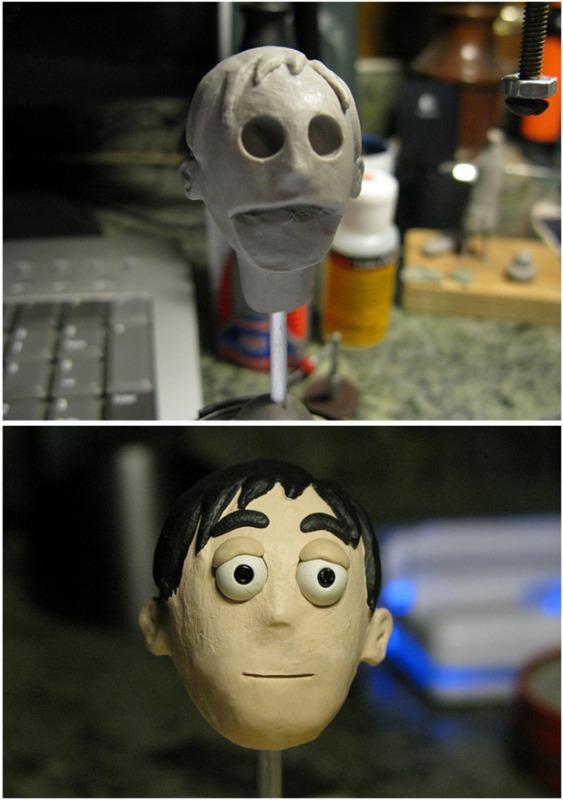 Various stages of production for a poseable art doll. Brilliant instructions for creating a feathered dragon creature! How to make and attach locks of mohair to a wig cap. 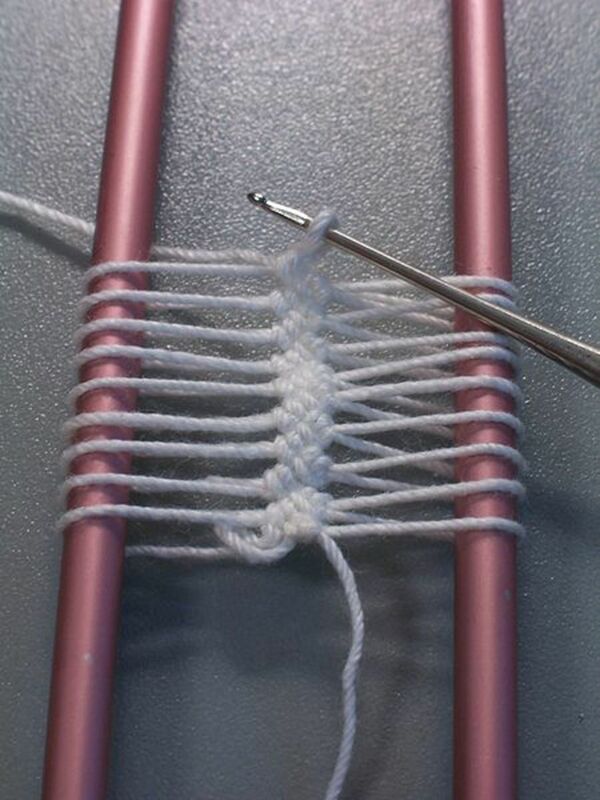 These hands have a wire armature, and then embroidery thread has been wrapped around the wire to create the subtle shape of the hand and fingers. Then the hands have been dipped in latex (which is flexible and therefore allows the hand/fingers to move). Photo and hands by Clara's Animated World. 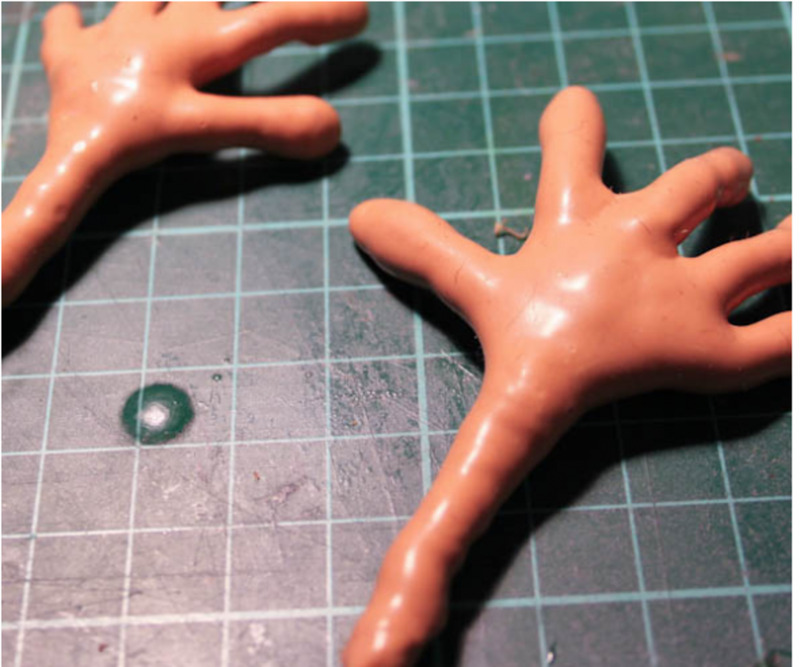 These hands have a twisted wire armature base, with epoxy putty applied for the 'bones' and (flexible) latex in the spaces in between. The whole hand will then be dipped into latex several times. Photo and puppet hands by Clara's Animated World. This tub contains little plastic pellets which can be heated to form a moldable plastic. This softened plastic can then be manipulated into all kinds of shapes, including different solid parts of a puppet. The plastic is strong when set, and is very useful and versatile for all kinds of modelling crafts. As a bonus, it can also be reheated and re-molded endlessly. This quality clay is ideal for sculpting into detailed heads and faces, and it hardens to look like realistic peach-colored skin. The clay is easy to work with, and is easy to blend well. You can also use a variety of finishing techniques on it after it has hardened in the oven, including painting and sanding. 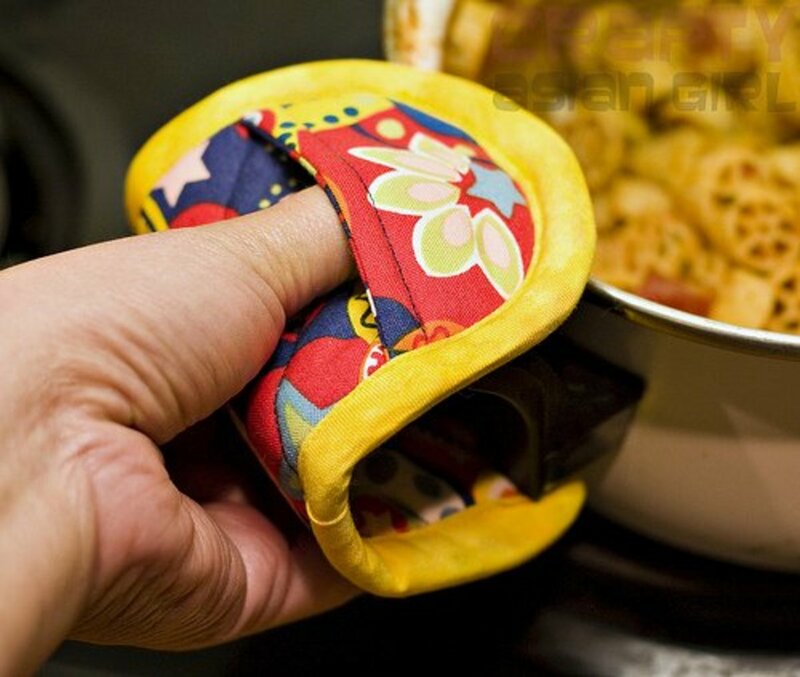 This 2-part putty hardens without an oven and can stick to almost any kind of material. It is widely used for sculpting hobbies and all kinds of tools can be used on it once it has hardened. A very good value set which is bound to come in very handy when you want to create intricate details or carve small pieces out of clay and other materials. Lightweight aluminium armature wire to make puppet frames out of. It's corrosion-resistant, strong and flexible, and highly rated in the reviews. Twisted wire armatures have a hard cure putty added onto the places that won't need to bend during animation. Strong magnets are embedded in the feet so they won't fall over (there is a hidden steel plate on the floor of the set), and then plasticine is sculpted over the top of the putty and the wire. Finally clothes and yarn hair are sewn together and attached to the puppet. Photo and puppets by Emma McIntosh. Have you ever made a model character or puppet? This is an amazing lens. I want to make a character! Very impressive! I love animation of all types and this is amazing! Thanks for this...it take me back a few years. 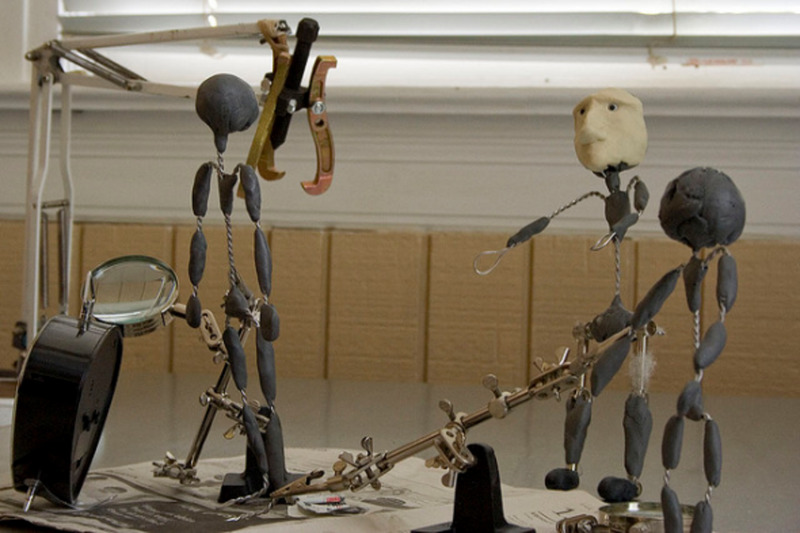 A friend of mine used to make his own armatures and models for stop motion. I was always more of a 2D kind of guy myself but loved the tactile nature of stop motion. Just wish there was more of it out there these days - would be great to see instead of all the CG stuff. Don't get me wrong I like CG, but it would be nice to some variety again.